Season will be here before you know it – along with overnight guest stays. Is your extra bedroom ready? If you’re like most, that space has become an exercise room, the board on the bed serves as a craft table, an extra TV space, etc. It’s going to be a big job to get it ready for the steady stream of guests from Christmas to Easter. A Murphy Bed can give you your space and your guest area too! 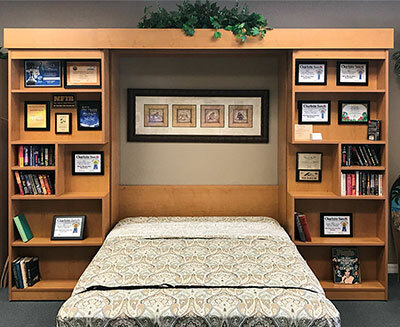 There are a variety of styles of Murphy Beds that Miller’s Murphy Bed & Home Office can design for you, complete with book shelving and desk space. 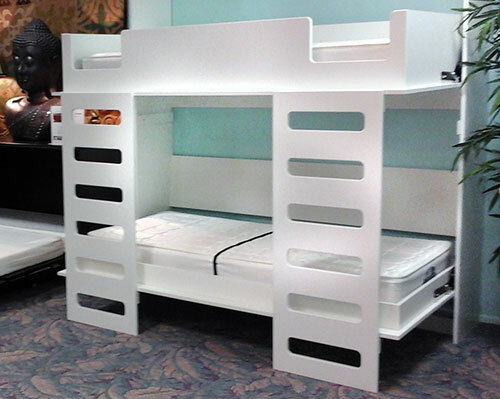 If you don’t want something attached to the wall, you might consider a moveable “Bed in a Box”. It’s a cabinet on casters that can be moved into just the right spot to open into a bed. 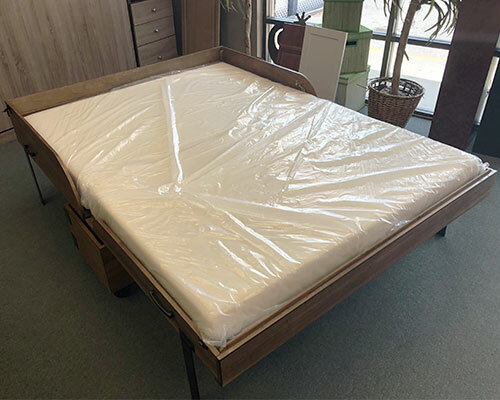 Are you thinking that Murphy Beds take a lot of strength to open & close? Not anymore! 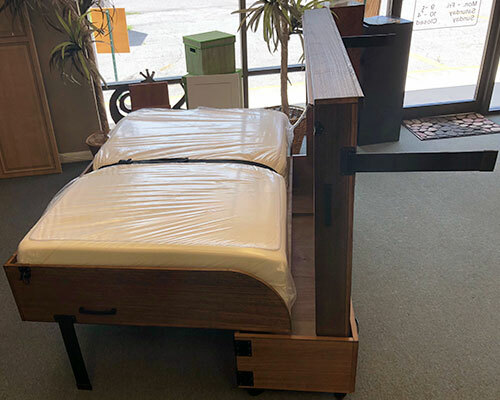 Modern spring mechanisms and piston-lift mechanisms make the beds easy to operate. Do the spring systems need adjusting once in a while? Yes – but Miller’s Murphy Beds will adjust them for FREE, for as long as you own the bed! Keep in mind wall units are built-in furniture. Not really a DIY project, our experienced carpenters are happy to install your new Miller’s Murphy wall bed. Murphy Beds attached to the wall can include shelving, desk units or decorative panels. Miller’s Murphy Bed will come measure your space and fit a unit that exactly meets your needs. Give Miller’s Murphy Bed & Home Office a call. We offer a free consultation and measure to show you the possibilities for your home. We have lots of great ideas! Stop by one of our 3 convenient showrooms in Fort Myers, Port Charlotte or Sarasota.